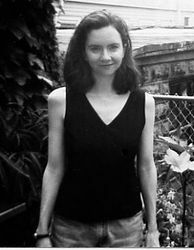 Christina Pugh is the author of Rotary (Word Press, 2004), a book of poems which received the Word Press First Book Prize in 2003. She has also published a chapbook of poems, Gardening at Dusk (Wells College Press, 2002). Her poems have appeared in The Atlantic Monthly, Ploughshares, and Harvard Review. Her criticism has appeared in Poetry, Verse, Boston Review, and Herspace: Women, Writing, Solitude (Haworth Press, 2003). She has taught literature and creative writing at Harvard University, Emerson College, and CUNY, College of Staten Island, and teaches poetry, fiction, and postcolonial literature at Northwestern University. Do you have any comments, criticism, paraphrasis or analysis of this poem that you feel would assist other visitors in understanding the meaning or the theme of this poem by Christina Pugh better? If accepted, your analysis will be added to this page of American Poems. Together we can build a wealth of information, but it will take some discipline and determination.